DR. Jennifer song Badaracco, O.D. A large part of what patients love about Dr. Jen is the thoroughness of her eye exams. That and a warm and friendly demeanor, along with a terrific sense of humor, make all of our patients feel comfortable in her expert care. Dr. Jen takes her time to make sure that you understand every step of what she's doing with you, and explains why it's important that it be done. With a degree in biology from Queen's University, a Doctor of Optometry degree from Pennsylvania College of Optometry, and intensive training in complex ocular diseases, Dr. Jen has a wealth of experience to draw on. At the same time, she's constantly keeping up on the latest technology and equipment. Being new to Inman Park, she wants to continue to cultivate the environment where she has enough time to perform comprehensive examinations for each patient while maintaining a schedule where wait times are kept to the absolute minimum. Dr. Jen is an up-beat person, who loves a good hike as much as a new restaurant. When she gets the chance, she is out and about exploring Atlanta or playing with her pupper. Julia's energy is infectious in the best possible way. Quick with a smile, laugh or joke, it is easy to find yourself in a good mood when working with her. As our Optometric Technician, Julia will walk you through a Visual Field, Auto-Refraction, visual acuity check before seeing the Dr. Jen. As the newest member of our team, Julia's relaxed approach and positive attitude is a welcome addition. Her daughter Mya is too smart for her own good, and is quite the handful. Luckily, she is such a sweetheart that she is easy to love. ​For any and all questions about lenses, however elementary or esoteric, Steve is your go-to guy. He can and will explain the physics of optics in terms so clear and simple you'll wish he'd been your high school science teacher. He's spent plenty of time deep in the trenches of optical labs, and he's been ABO-certified since 2010, so you can trust his expertise when it comes to designing lenses to suit your unique needs and style. Steve has been working at In Focus since it first got off the ground in 2009, and he has been indispensable in every part of its operation ever since. Even as the practice has expanded and our staff has grown, Steve has been an evergreen presence at the office and in the neighborhood, and our patients are delighted to see him every time they stop in. In a perfect world Steve would have a dozen dogs, but at the moment his rescue mix Cooper is the lucky sole recipient of all of his training and attention. You can find him in costume at DragonCon with his girlfriend and her daughter, or cheering on the Green Bay Packers every day of his life as their number-one fan. Got questions about your vision benefits, she can help you understand and navigate the tricky world of insurance. Give her your info and she will get your benefits pulled before you even walk in the door for your appointment. Yep, she's that good. Rachael's son Gabriel loves to keep his mom busy playing outside, reading to each other, and just cuddling. Gabe has also developed into quite the basketball superstar. Rachael also moonlights as her father's personal tech support, turning the router off and then on again whenever his wifi goes down. Bonnie has been with In Focus for over five years now, and our patients absolutely LOVE her. Come on in and let her fit you with the latest-style frames that will make you look so good your friends will ask you for fashion advice. She's also going to save you tons of money by maximizing any insurance benefits you may have. When you leave In Focus you'll feel confident that your lenses have every feature you need, and only what you need; Bonnie will make sure of that. 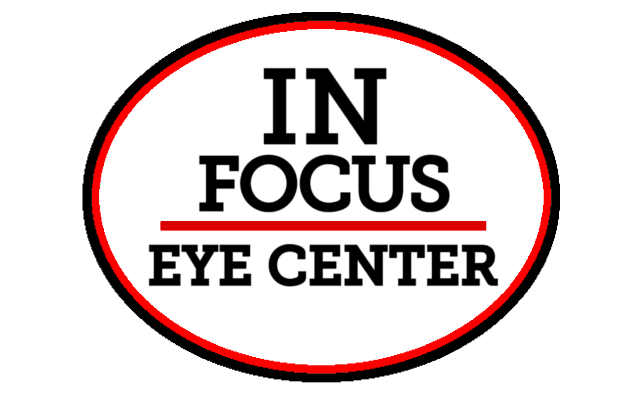 When you come to In Focus Eye Center for an eye examination you will receive the highest quality care available utilizing the most modern diagnostic equipment available. Dr. Jennifer Song Badaracco is a highly trained doctor of optometry with years of experience and specializes in comprehensive family eye care and the medical management of eye disease. The Optical Boutique is where you come to look good, feel comfortable and see great. Our large selection of designer frames ensures that we have the right look for you. Whether you are into the latest styles or on a tight budget, In Focus has frames for everyone. Using your prescription, our highly trained Optician will guide you through the process of choosing lenses that are customized for your lifestyle. If you want anti-reflective lenses to reduce eye-strain, transitions to protect your eyes from the sun's ultraviolet rays, or the latest free-form technology to reduce abberations and keep you seeing in Hi-Definition, the staff at In Focus Eye Center has all the information you need to know to make the decision of what lenses are right for you.